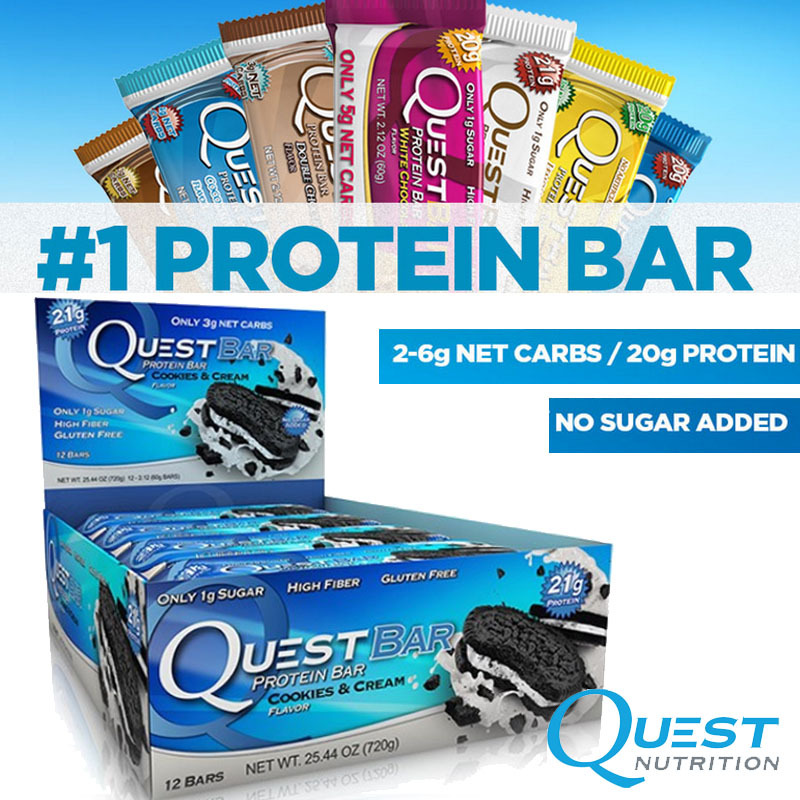 Quest bars are the perfect nutrition bar for anyone looking to get top quality protein while dropping some carbs from their diet. They're as delicious and convenient as a candy bar, while maintaining all of the nutrition of a carefully prepared meal that's packed with fiber to make you feel full and to help with digestion and weight loss. The ultimate clean cheat to your diet. 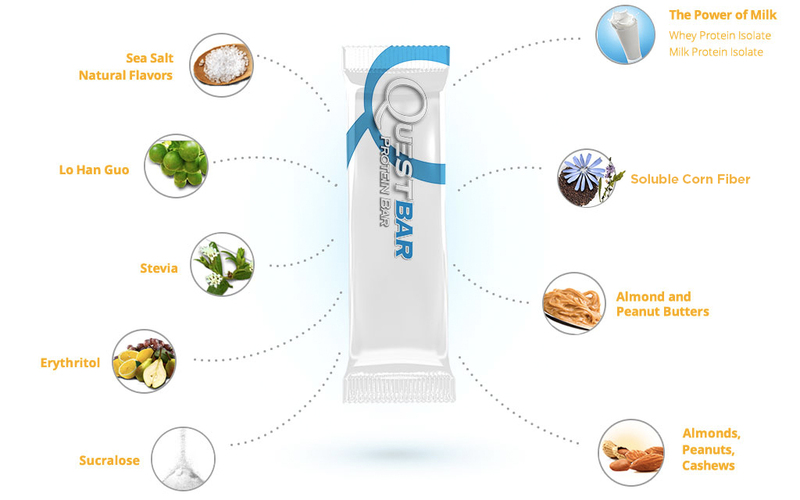 Sportsmen, fitness buff, busy executives or students, Quest bars are for everyone. What's wonderful about these bars is that you can actually see real chunky chocolate bits/apple chunks/white chocolate/fruit/nuts and totally indulge in them. Sugar, for instance, doesn’t even exist at our facility. The only sugar in our bars comes from things like the nuts and freeze-dried fruit. Every sweet, mouthwatering bite of a Quest Bar is the result of painstaking trial and error to discover the most insanely delicious ingredients that promote a clean lifestyle. As science brings us new answers, you can count on us to react accordingly – and still create the most exhilarating, mind-blowing food products that make clean eating fun again.